I was bored of my store bought baubles and wanted to make cute little gingerbread men to hang on my Christmas tree. 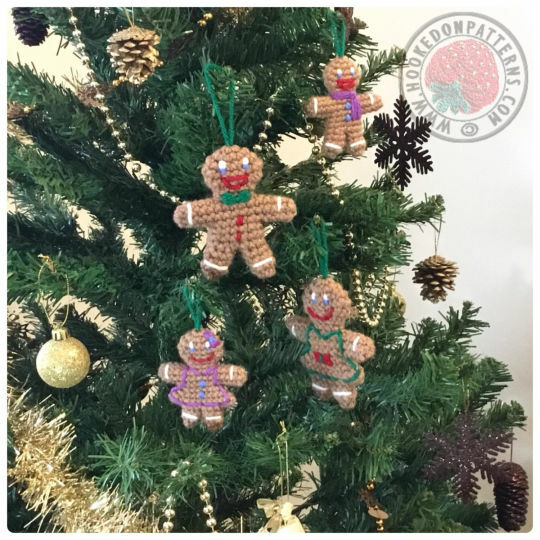 I created a gingerbread man first and thought he needed a family, so decided to make a gingerbread lady and mini ones as children! Of course, grandma and grandpa had to come to visit for the holidays too. I wrote up the pattern to share for free on my website www.hookedonpatterns.com/free-patterns so many more gingerbread families could join the festivities this Christmas.